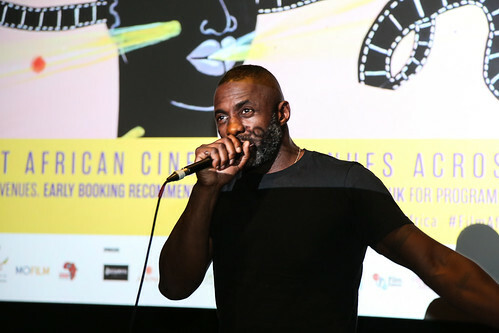 The non-scripted film that followed British actor Idris Elba as he went on a journey of self-discovery after starring in the critically acclaimed film adaptation of Nelson Mandela’s autobiography Long Walk to Freedom will be airing on local TVs this month. DSTV’s History Channel (186) will be screening Idris Elba: Mandela, My Dad & Me on Sunday, 6 December, at 8:30 PM. This documentary “not only documents one man’s struggle in producing his first album, but also his emotional quest to pay a fitting tribute to two inspirational men”. After his role as the late first democratically elected president of South Africa Elba was inspired to produce an album with music that Mandela himself would have listened to. Before embarking on the project, Elba’s father sadly passed away, sending the album and eventual film in a whole other direction. Mandela by Anant Singh, Ahmed Kathrada and William Nicholson serves as a historical companion to Elba’s biopic.